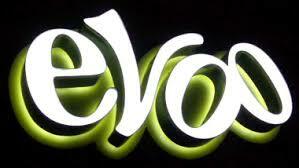 EVOO (Extra Virgin Olive Oil) is an acronym which causes me to visibly whence when I hear it uttered. 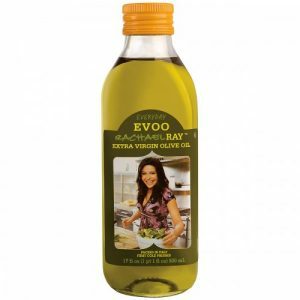 There are a few kitchen celebrities I abhor…..however Rachel Ray is one of them. I have nothing against her per-se except the nauseating repetition with which she bandies EVOO and makes use of it in seemingly every dish she prepares. And to be a tad bit more catty- she chortles after saying ‘Grab the EVOO’ like a school girl giving a secret code to enter a club house. Nails on chalk board. 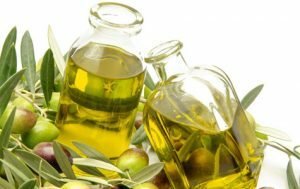 Regardless of my personal likes and dislikes the topic of Extra Virgin Olive Oil, or any olive oil for that matter, is rather an interesting one. 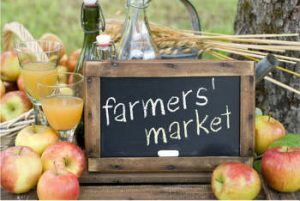 I was shopping in WholePayCheck this morning when I noticed a woman deliberating over the numerous bottles of olive oils in front of her. She was growing more tense with each passing second. This is a feeling I know well, a phobia really, when I’m ultimately forced to go down the toothpaste isle and pick from among the seeming thousands of options. I freeze, cover my eyes, jab forth my hand until I blindly make a selection, then run as quickly as I can, hoping to leave the specter of second guessing and doubt far behind me. First thing to note – Olive oil should NOT be your go to oil for all cooking regardless of what you see on television. Olive oil has a low smoking point, meaning if you are frying/sautéing the hell out of something, you’d be much better served with a vegetable oil or a peanut oil. That smoke boiling up, is literally you ruining your dish. Ummm back ground notes of acrid burnt oil. High heat? Use a different oil. Second tier of decision making- do I want to taste the olives or don’t I? There are all kinds of grades of olive oil and you can basically drive yourself mad trying to classify them on your grocer’s shelves so I’ll stick to a somewhat high level. Extra Virgin is the realm in which you will get the most olive flavor from what is found on the average shelf. They can be, and tend to be darker in color (though this can be deceptive with some manufacturers who add coloring), more gently and naturally processed, and as a result retain more flavor. Extra Virgins are best employed for oil dressings, light infusions, dipping, and finishing. Pure and Light Olive oils have been heavily processed and therefore have less to no flavor. These can be used for your quick sautés and stir-fries- again a low to mid heat. I’d also use this quality if I were whipping up a fruity vinaigrette as you wouldn’t want to taste the olives anyway. 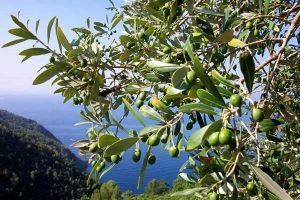 Most people can stop right here as this covers the bulk of olive oil usage in this country. Oh and worth noting; those olive oil shops that specialize in all the clever infusions- they are using light oil, putting all that crap in it to steep, then packaging the oil in a slightly tinted bottle for the masses to ooooo and ahhhh over. But hey, everybody has to make a buck so go buy a bottle or five. The third qualifier in taking your olive oil game to the next level is seeking out a bottle of liquid gold where the contents are cloudy, murky even, with sediment at the bottom. Unfiltered olive oil is only for those occasions where you intend for that fruity, peppery and sometimes bitter taste to come crashing through to the front of the line. For some, unfiltered olive oil can be a little harsh but damn is it good once you’re accustomed. When I’m presented with a high quality olive oil my taste buds immediately transport me back to the Amalfi Coast or San Sebastián where, with some rustic local bread, I can sop this stuff up like pot-liquor and corn bread. You will be hard pressed to find it in this country outside Sonoma, but some unfiltered is so fresh you have to keep it refrigerated or it will go rancid rather quickly. Bear in mind, like all things, the higher the quality, the more it is going to cost- but the less you are going to use it. Keep a few different go to oils on hand, each with its intended utility as the guide, and you’ll enjoy much more satisfying outcomes. And please don’t ever ever say ‘Grab the EVOO’ or you might get throat punched. I’ll admit, it can take a brave soul to venture beyond the bounds of the culinary norm. 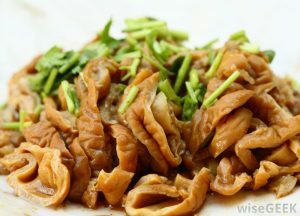 But eating off course and venturing into foreign territory can bring particular rewards, one of them is the oft taboo offal treat! There are two distinct sensory memories from about 6 years of age that when I think on them, it is a miracle that I ever became the adventurous eater that I am today- or maybe they informed it, who knows. The first memory involved my father and great grandfather who was absolutely gaga for chitlins (braised cow intestines for the un-indoctrinated), the two would load up and go get a mess of chitlins one Wednesday out of each month. The part of rural Mississippi where I grew up was home to Ms. Edna who owned a little eatery much like the Whistle Stop Café if you ever happened to see ‘Fried Green Tomatoes.’ So once a month Ms. Edna would fire up her big chitlin pot; a cauldron of sorts and get those intestines to boiling for hours otherwise they’d resemble in texture that really bad calamari which always reminds me of tires on toy cars. I’ll offer for those having never had the pleasure of experiencing chitlins first hand- when cooking, they STINK. They smell exactly like what they transport from can-to-can’t (pronounce caint when in rural MS). Edna’s Truck Stop perched at the entrance to our little village and the denizens always knew what day it was as soon as Ms. Edna got her pot to going and wafts of shite drifted down Highway 19. The other memory that comes back to me when I think on the subject of offal is directly linked to my particularly mischievous Great Uncle Bill. It was the end of summer, but before fall really set in, and there was a family reunion afoot. That year Uncle Bill decided to slaughter a hog, a big boar hog named Jesse I believe. [For those far removed from their food sources, I want to point out ole Jesse only had one bad day in his whole porcine life.] After scalding, scraping, and butchering, Uncle Bill and some older cousins begin to cook various bits of ole Jesse and offer to the gathered mass of folks. My family, well we were a bit differ’nt, as my people might say, because we had recently moved back to Mississippi after some time in Alaska where I spent my very early childhood. It is safe to say I didn’t sound much like my cousins and because of this my Uncle Bill, whom I adored, liked to pick at me a bit. Uncle Bill seeing an opportunity for amusement offered me a prime bit of ole Jesse. “Cotton-top (my nickname of childhood) come here and try some of these Rocky Mountain Oysters.” Not having any idea of what those might be, but smelling the glories of grilled pig, I swooped in for the score. Greedily I took a bite and chewed. Everyone burst with laughter and Uncle Bill, who can barely contain himself, asks “boy, how do you like them oysters?” Based on the amount of laughter emanating from my uncle and other male relatives gathered round, I knew I had been had. 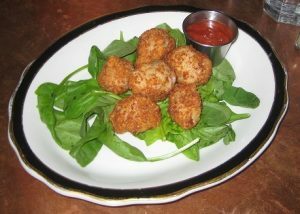 Only much later did I learn the nature of Rocky Mountain Oysters and from whence they came. Having spent a good part of the past decade traveling around the world I’ve eaten the cousins of Rocky Mountain Oysters called criadillas in Spain, and chitlins too have a relative down in Colombia that go by the name chunchullos; both well and good, and assuming there is cold beer involved, I wouldn’t pass up a plate…..but the offal I’m most in love with? 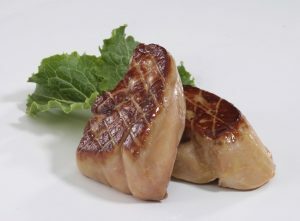 Foie gras and sweetbreads. Well, while we are at it, throw in a nice country pâté. There is nothing, and I mean nothing finer than a seared slab of foie gras dressed in a reduction of red wine and with some sweet compotie deliciousness backing it up; or for that matter those most prized of glands- sweetbreads [which by the way, the name, makes no f’ing sense- they are neither sweet nor a bread of any kind whatsoever]. If you’ve never experienced sweetbreads, it’s time to manup and order some. You won’t be disappointed, tender to the point of almost being creamy. 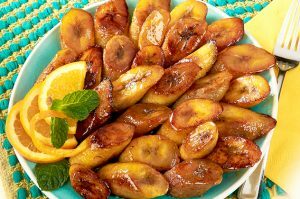 Have them grilled with a bit of salt, pepper, and a hit of citric acid. 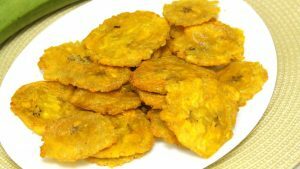 Coño que rico! So while the majority of, culinarily speaking, boring fast food chugging Americans regard offal as awful, you now have the opportunity to flex your pallet. 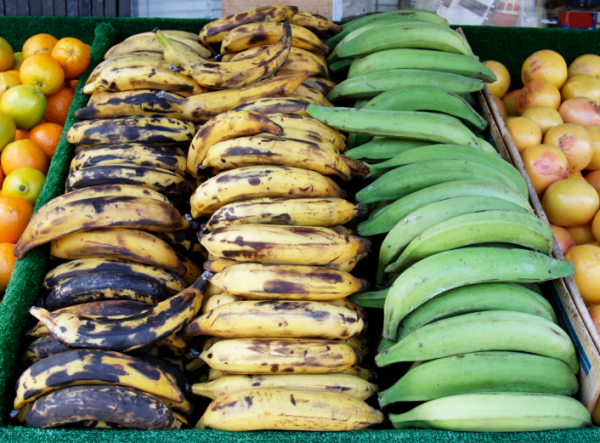 Not only can you get some delicious dishes out of hearts, lungs, livers, kidneys and other innard bits, but it is also terribly responsible to eat those dishes. 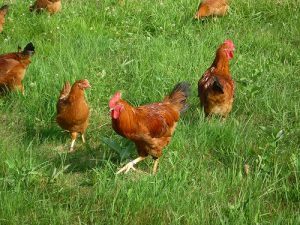 Our obsession with a few select cuts from any given animal means we are wasting millions of tons of great meals; and I try never to waste a great meal. 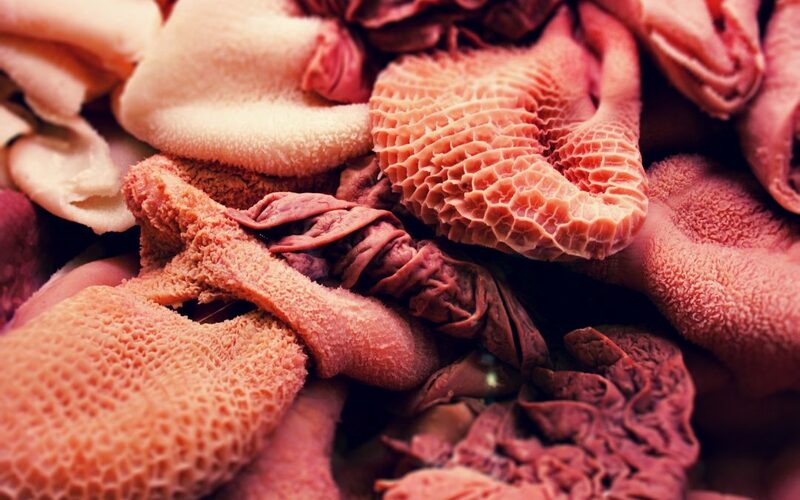 Get curious, get bold, and get yourself some offal. You Hate Anchovies You Say- Balderdash! You hate Anchovies?!? Are you freaking kidding me, I ask anyone making such a bold and usually uninformed pronouncement? Anchovies are one of, maybe even the greatest flavor enhancing magic carpet ride that mere culinary mortals readily have at their disposal to add a power-packed-punch of umami to any dish. And besides, anchovies are the backbone of flavor to Worcestershire sauce- Lea & Perrins being my personal favorite, and who doesn’t love Worcestershire sauce (the only real open debate is maybe how you pronounce it). 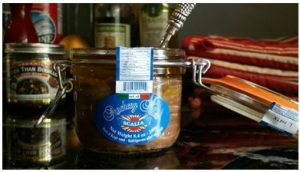 You hate anchovies you say – Balderdash! Anchovies have gotten a bad rap over the years, due mostly to the fact that very poor quality anchovies are found topping the pizzas of those creepy guys who drive panel vans or your great uncle who was in the Navy and smells of moth balls. Anchovies are delicious, at least the good quality whole fillets in oil are delicious. Salty, meaty and packed with flavor, these guys are a power house in the kitchen.PRO TIP: don’t throw out the oil- trust me. 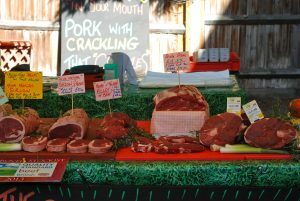 You hate anchovies you say – Balderdash! 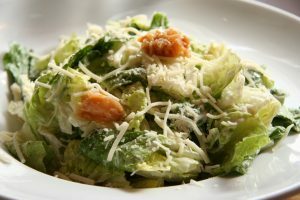 You like Caesar Salad? Boom, anchovies are in the dressing. You like Puttanesca Sauce? Yep anchovies are in there too. One of the best New Orleans muffuletta sandwiches I ever had the pleasure of woofing down used anchovies in the olive salad. Don’t think of anchovies as the main event. 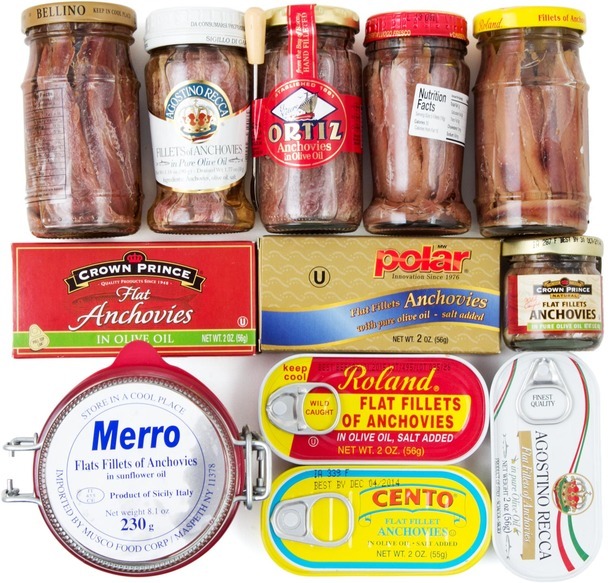 Anchovies, unless you are in Spain having Pintxos and washing it down with a ½ dozen cold beers, are generally best employed as the back-up singers of a dish. I dare you; take a skillet, drizzle with olive oil, some fresh chopped garlic, and a few anchovy filets and watch those little guys literally melt into the oil creating a salty-garlicky infused suspension just waiting for a good piece of meat to be seared in, then braised for a couple of hours in tomatoes and red wine- C’est Magnifique ya’ll! Because of the way anchovies are preserved, in salt, this method breaks down the proteins in the fish allowing them to dissolve into relative nothingness with ease (myosin/salt break down…blah blah, go watch Alton Brown for a good explanation). Just buy some and keep in the fridge after opening; hell, even buy a tube of anchovy paste which is sometimes an emergency go to if I run out of the good stuff. Marcella Hazan, God rest her cook book writing Italian soul, has been an inspirational cook for decades known for delicious pastas and roasted meats of all varieties. Marcella’s secret ingredient- yep anchovies. Even her famous roasted leg of lamb has anchovies to bring out more flavor. These beauties are everywhere and assuming you don’t have an allergy, they should be in your pantry. That oil I said don’t throw away- use it to make a roux for gumbo, or drizzle over steaming pasta for an instant pop of salty meaty flavor. A platter of fresh bruschetta becomes transcendent with a little drizzle anchovy oil. Why, you ask? Well, ironically, it doesn’t taste like fish at all. It just tastes rich, kinda like the best crispy bits of a cast iron fired, salt encrusted, steak made love to a bit of truffle and parmesan cheese. Ok, that may be a bit of a stretch but you try it and then come back to me with an apt description. Anchovies, they’ll up your kitchen cred.